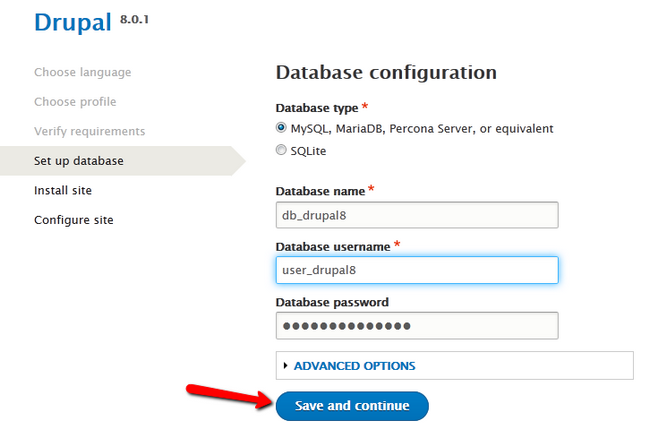 If you have to install Drupal 8 manually, you will need to follow this tutorial. To manually Install Drupal 8 you will need to first download an archive of the installation from the official Drupal website. Once completed, please extract the archive on your personal computer. Now you can decide where to place your files. If you want to have Drupal 8 accessible via your domain (example.com) place them in the public_html/ directory of your account. 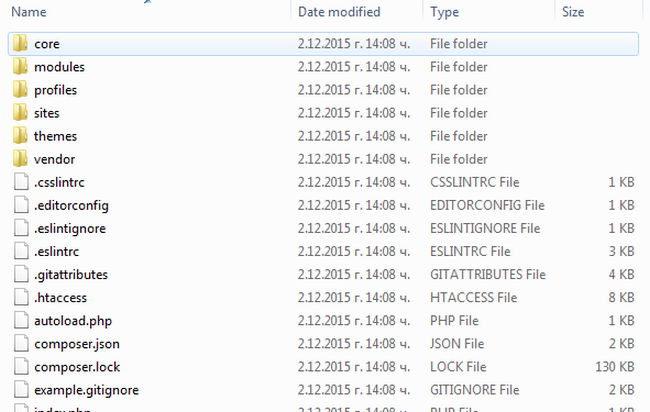 However, if you wish to install Drupal 8 in a subfolder, you need to create it first. If you Place the files in a folder public_html/drupal it will be accessible via example.com/drupal where example.com is your domain. When all of the files have been successfully uploaded to the server, you only need to open your preferred browser and navigate to their location. This will initiate the Drupal Web Installer which will guide you through the rest of the Installation process. The first part will be to choose the language for your website. Click the Save and Continue button to proceed. Then you will have to select between two different installation profiles. Choose one, depending on your site building skills. In the next step you will see all of the requirements for the application and Drupal will have to verify them before you can continue. For this next Installation step you will need to have an existing Database. 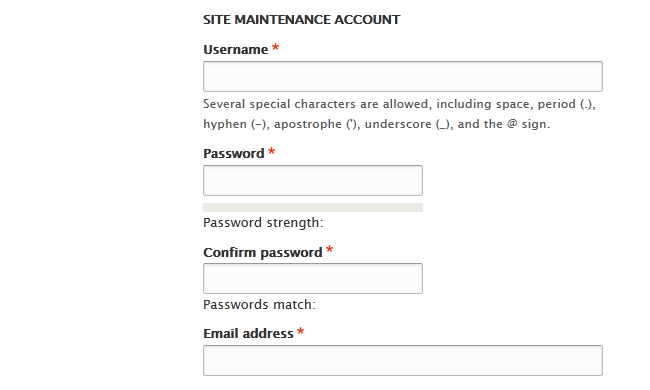 You will have to fill out the Database Name, Username and Password so Drupal can connect to it. Hit the Save and continue button to proceed. In this final step, you will have to fill out your Site’s details. Site Email Address – The email address which will be used for sending out automated messages to your visitors. You will also have to setup an Administrators account. This will be your access credentials for your website’s back-end. Lastly, you will have to choose a country and time zone for your website and whether or not you wish to receive email notifications for new updates. 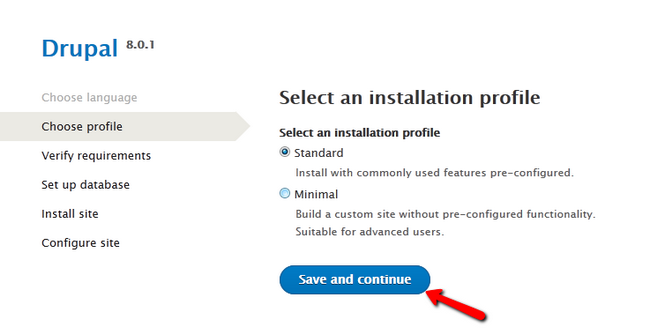 Click on the Save and continue button to install Drupal 8. Congratulations, you have successfully installed Drupal 8 manually.